Seeing Pink! | Crowlas & Ludgvan W.I. 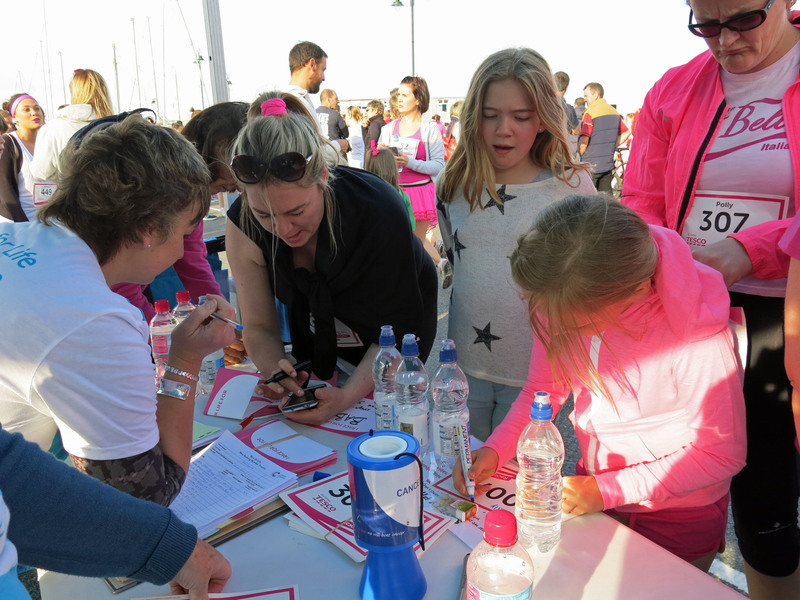 There was a sea of pink this evening on the Penzance harbourfront as Julie Blewett, Helen Kestle, Pippa Lilley and Beth Marshall (along with Beth’s daughter Sam who’s visiting for the week) volunteered at Cancer Research UK’s Race for Life. We arrived early and were briefed on our role working in the Admin Marquee. Our job involved signing in any racers who didn’t have numbers, answering all sorts of questions from the public and guarding our box of safety pins very carefully! Sam and Beth got into the spirit of things and were even on stage getting the crowds going. Helen particularly enjoyed her Madonna-moment, wearing a very important radio headset. 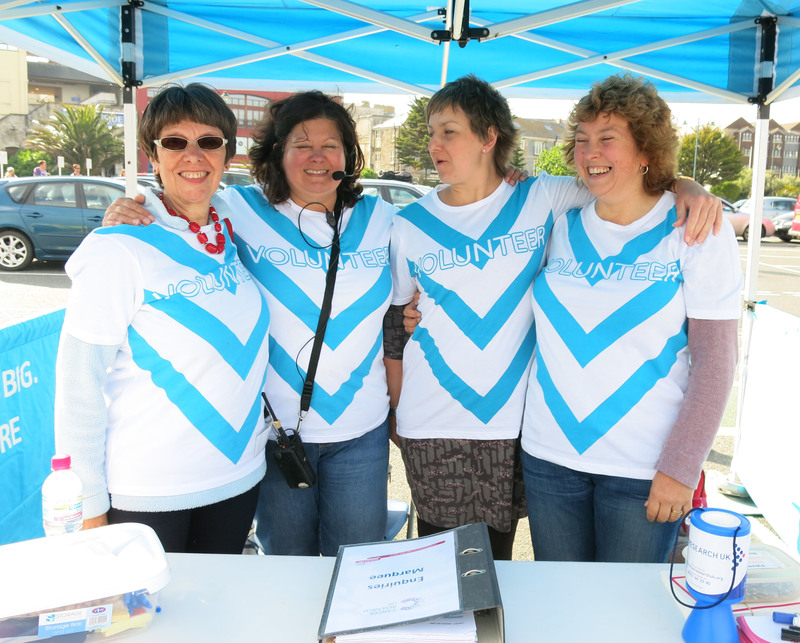 We worked hard, but had a great time, and it was all for a wonderful cause. The atmosphere and camaraderie among the racers was really special with everyone coming together for a common goal. 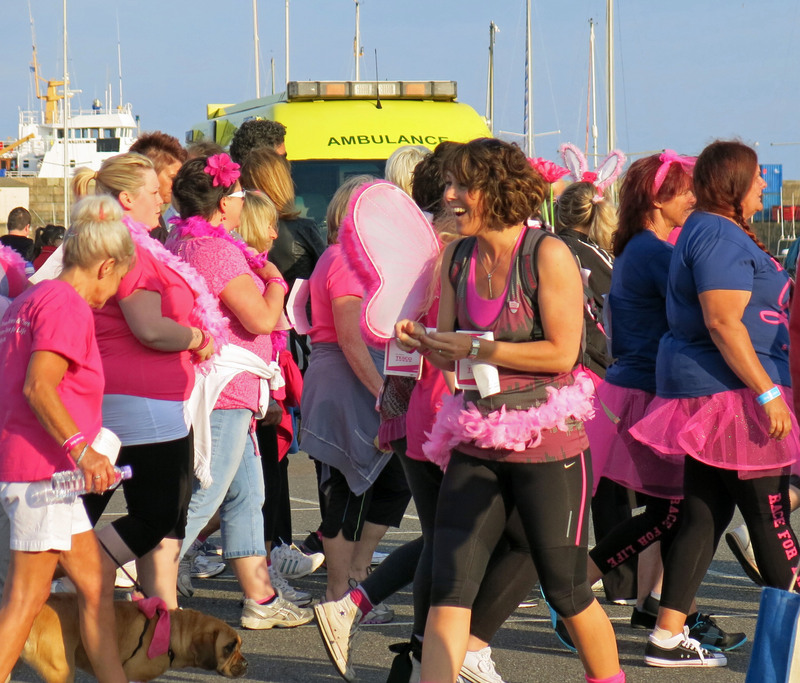 Over 900 women and girls raced, most dressed in amazing pink get-ups. 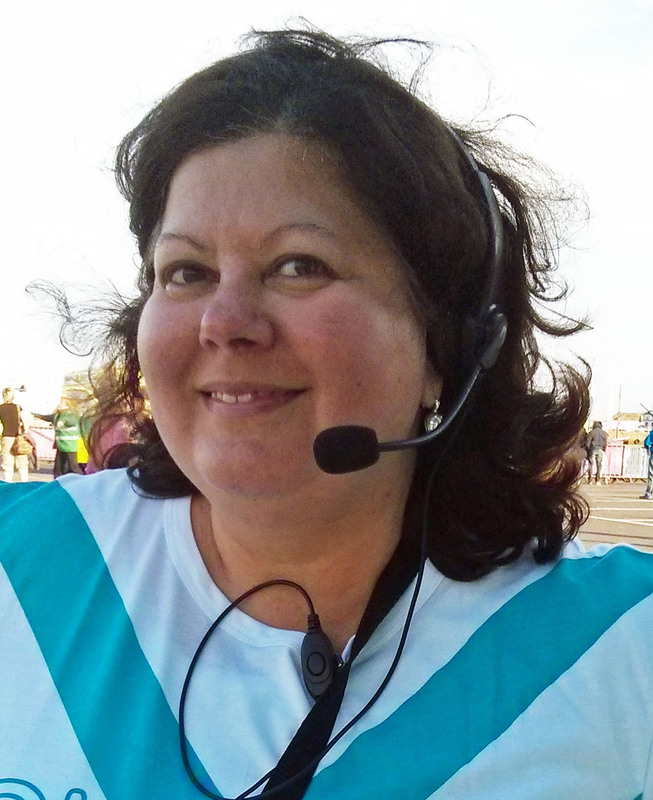 It was a completely rewarding experience and we hope to join in again next year … though next time, instead of volunteering, we may try to put together a team and join in the 5K walk! 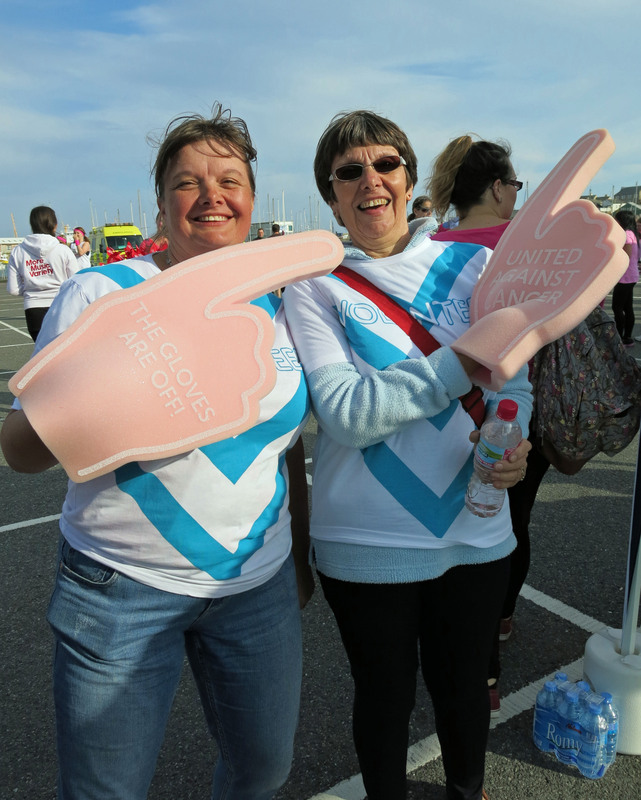 This entry was posted in Uncategorized and tagged public affairs, race for life. Bookmark the permalink.